Listed below are homes for sale in Summit Woods, a neighborhood located in Near West Madison, WI. Listings are updated multiple times a day from the SCWMLS. For more information about any of these Summit Woods homes for sale, just click the "Request More Information" button when viewing the details of a property. We can provide you with disclosures, past sales history, dates and prices of homes recently sold nearby in Madison, and more. And, for your convenience, register for a free account to automatically receive email alerts whenever new Summit Woods listings come on the market that match your search criteria. 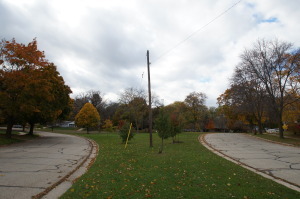 Few neighborhoods have the access to the city’s bike path that Summit Woods on the city’s south side has. The southwest leg of the bike path traces the border of Summit Woods to the north and east. Neighbors can hop on the trail and access virtually every corner of the city by bike or foot. Odana Hill Golf Course lies on the opposite side of the bike path, and songbirds and waterfowl mingle into the neighborhood from there. Many young families and first-time homeowners find Summit Woods the perfect place to make their homes. Close proximity to schools, shopping and employers add to the quality of life enjoyed by neighbors here. Much of the development in Summit Hills came in the mid-1960s. Many of the single-family homes here were built on quiet, tree-lined cul-de-sacs. A selection of ranch and split-level homes are available throughout the neighborhood. However, homes in Summit Woods can be found at and below the median listing price, which makes the community an attractive option for young families and first-time homebuyers. Condominiums, townhouses and rental properties along Summit Woods’ northwest and southwest corners add additional housing options. Commercial districts are also located along the community’s southeast border. Summit Woods’ central location on Madison’s south side is one of its greatest assets. Popular west side commercial areas are nearby with Hilldale Mall less than two miles south of Summit Woods, and West Towne Mall about four miles west. The University Avenue commercial corridor, which is about two miles south of Summit Woods, offers a blend of local and chain shopping and dining options. 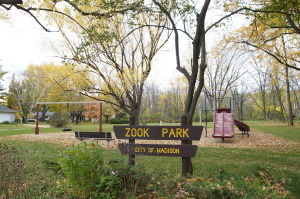 Downtown Madison is about five miles east of Summit Woods, and Middleton is about five miles northwest. Thoreau Elementary School is just a few blocks north of the neighborhood, and Cherokee Heights Middle School is adjacent to Summit Woods along Midvale Boulevard. Summit Woods is conveniently located close to schools, shopping and surrounding communities. For information about finding a home in the Summit Woods neighborhood or to sell your Summit Woods home, contact our team for a better real estate experience. 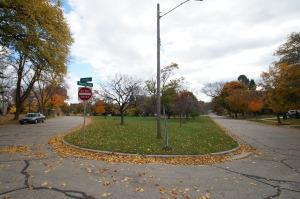 Summit Woods neighborhood is located on the South Central Side of Madison in MLS area Madison – W13. Below are more homes for sale in that area.